1. Shake Crio Concentrate. Add all ingredients to a jar and shake until sugar is dissolved. 1. Add to a saucepan and bring to a light boil. Simmer for ten minutes. Stir and simmer an additional two minutes. 2. Let cool slightly then drain the grounds by running it through a coffee filter, strainer or using a French press. Pour the liquid into an airtight container and store in the fridge. Throw out the leftover grounds. It should make about 24 ounces of Crio Bru Concentrate. *When choosing a beverage, avoid drinks that contain artificial sweeteners and flavors or high sugar and calorie content. Ice cold water or sparkling water with fresh lemon or lime juice and a dropper full of French Vanilla Stevia Liquid Extract (I get mine from whole foods). 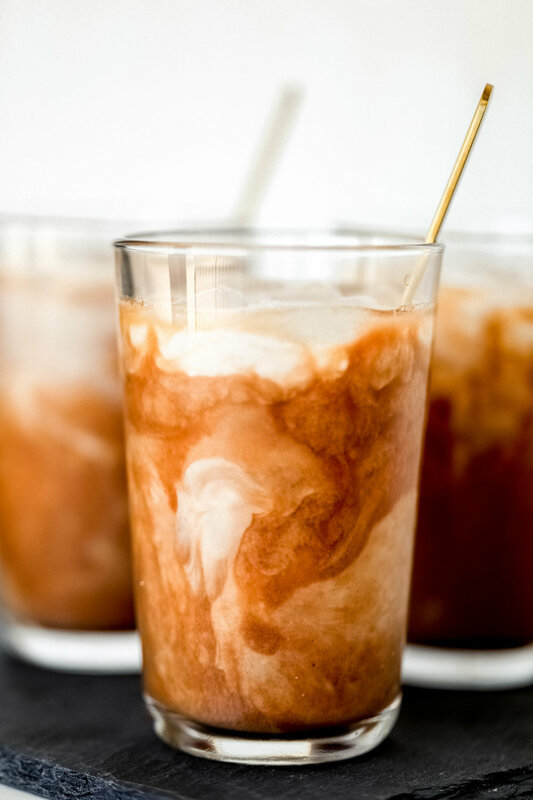 Black Coffee or Crio Bru with one tablespoon of full-fat coconut milk and French Vanilla Liquid Stevia Drops (from Whole Foods).